The NEW GTI 2500 Takes Treasure Hunting to New Depths. Treasure that you thought was impossible to find is just one touch away with the GTI 2500-the world’s fastest, most accurate Imaging metal detector. At the heart of the impressive GTI 2500 is the most advanced DSP computer chip and search coil ever developed. This high-tech chip enables the detector to report the TRUE SIZE and TRUE DEPTH of all targets. This superior electronic feature combined with Garrett’s acclaimed GTA (Graphic Target Analyzer) gives you treasure hunting capabilities never before possible. Garrett Imaging with TreasureVision enables you to determine very precisely what kind of metal object you’ve found, how big it is and how deep it’s located. Dig only the type and size of targets that you want by choosing one of seven hunting modes All target sizes are identified as: smaller than coins, coin size, larger than coins, 12 oz. drink can size and larger than a 12 oz. can. When you detect a coin, the detector will even tell you the coin’s probable denomination. Treasure that you thought was impossible to find is just one touch away with the GTI 2500-the world’s fastest, most accurate Imaging metal detector. At the heart of the impressive GTI 2500 is the most advanced DSP computer chip and search coil ever developed. This superior electronic feature combined with Garrett’s acclaimed GTA (Graphic Target Analyzer) gives you treasure hunting capabilities never before possible. Garrett Imaging with TreasureVision enables you to determine very precisely what kind of metal object you’ve found, how big it is and how deep it’s located. It’s that simple! Plus, the GTI 2500 Scan Track , together with Ground Track, automatically adapts to your hunting style and any changes in ground composition, adding much more treasure to your treasure pouch. Combine the GTI 2500 with the optional Treasure Hound with EagleEye pinpointing and you’ll detect treasure caches located two to three times deeper. You’ll be amazed at the amount of treasure you’ll find in previously hunted areas. With the GTI 2500 you’ll locate treasure at depths no other detector can reach. Now that’s real treasure hunting! Custom, Discrimination modes with Visual Target ID. An all new 9 1/2″ Super Deep ImagingSearch coil. 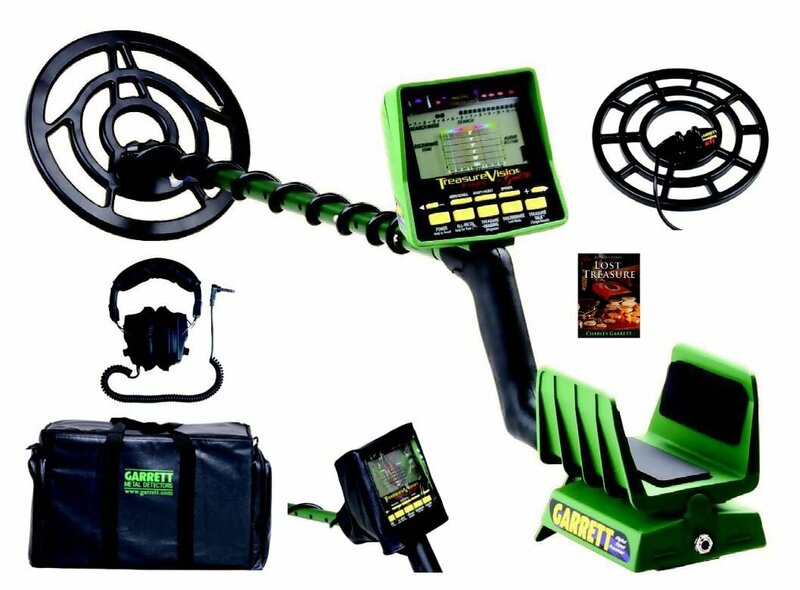 Comes with GTI 2500 detector, Garrett Supreme GTI Carry Case, Users manual, Deluxe MasterSound Headphones, DVD, Rain Cover, How To Find Lost Treasure Field Guide, 9.5″ Coil and a 12.5″ Imaging Coil.